The Swarm, a new roller coaster set to open at an amusement park in London later this month, might have to be toned down a bit. This after crash test dummies put on the coaster had their arms and legs torn off by the horrific G-forces the Swarm generates during ride. 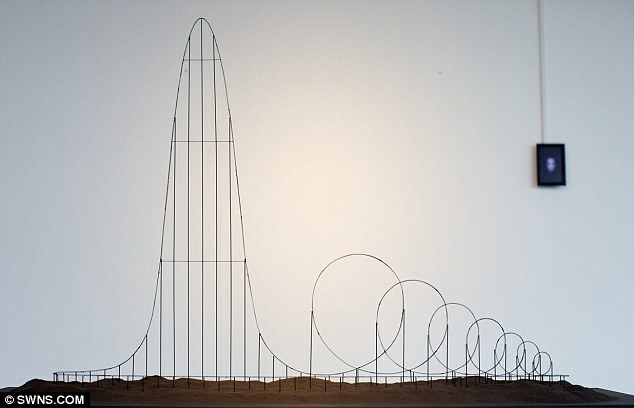 The Euthanasia Coaster, designed by Lithuanian engineer Julijonas Urbonas, is a concept (it only exists on paper, thank God) intended to give terminally ill people one last thrill ride. After a precipitous drop, the coaster would take its passenger through a series of ever-tightening loops that increase the forces on the person's body, starving him/her of oxygen until death results. Read more about the Euthanasia Coaster here.